Jann-Fiete Arp became the first player born after the year 2000 to score in the Bundesliga and the youngest in Hamburg's history. From Bayern Munich leaping to the top of the Bundesliga for the first time this season to striker Jann-Fiete Arp becoming the first millennial to register in Germany’s top flight – we assess the key figures on what was an incident-packed Matchday 10. For the first time in the club’s history, Werder Bremen have no wins after ten matchdays, a record that led to the dismissal of coach Alexander Nouri on Monday. Bayern are top of the Bundesliga for the first time this season. In another first, Borussia Dortmund are no longer the league leaders. Mainz defender Stefan Bell scored his second Bundesliga own goal at the weekend, and just as it was when he put through his own net on the previous occasion in April 2016, Eintracht Frankfurt were the benefactors. For the first time this calendar year, Bayer Leverkusen have won three games in a row. Die Werskelf last managed the feat in April 2016. Wolfsburg drew for a sixth time in six games under coach Martin Schmidt, the longest sequence of any newly-appointed Bundesliga coach. In five games against Bremen, Augsburg forward Michael Gregoritsch has scored six goals, three times more than he has managed against any other top-flight club. Hamburg have taken just one point from their last eight Bundesliga games, the team’s worst run under coach Markus Gisdol. RB Leipzig captain Willi Orban was on course to hold the quickest dismissal of the season after seeing red against Bayern Munich in the 13th minute, until Caglar Söyüncü was red-carded 60 seconds earlier for Freiburg away to Stuttgart on Sunday. Back to Bremen, who are now 13 games without a Bundesliga win, a club-record sequence that was last repeated in 2012/13. Stuttgart have not suffered a home defeat in 2017, the Swabians winning eleven and drawing three of their last 14 games at the Mercedes-Benz Arena. The last time they produced such a run was in 2006/07. At 17, HSV’s Jann-Fiete Arp became the first millennial to score in the Bundesliga in his side's match at Hertha Berlin. In doing so, he replaced Heung-Min Son as Hamburg’s youngest-ever goalscorer. 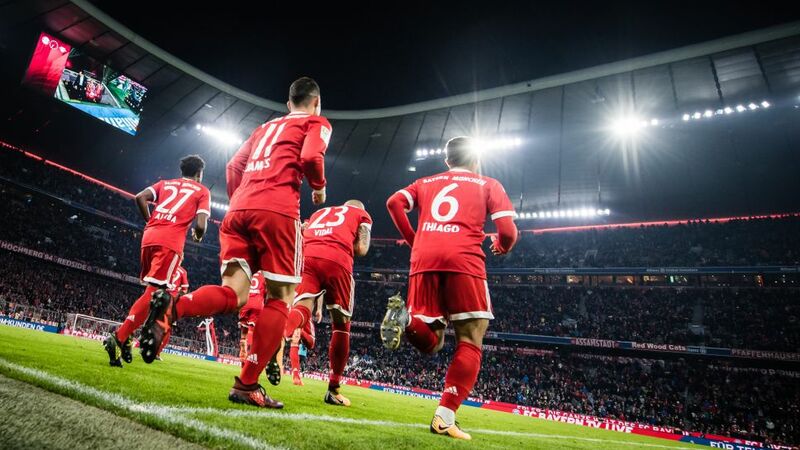 Berlin’s 2-1 win against Hamburg means the capital club now have 29 Bundesliga victories against the Red Shorts, more than they have managed against any other team. In what was their 44th Bundesliga game, Leipzig conceded their 50th goal when James Rodriguez scored the opener in Saturday's 2-0 loss at Bayern Munich. Cologne surrendered a 1-0 lead against Bayer Leverkusen to lose their 100th Bundesliga game, Die Werkself running out 2-1 winners. Although not in Hannover’s starting line-up for the 4-2 home win against Borussia Dortmund, striker Martin Harnik came on in the second-half to make his 200th Bundesliga appearance.